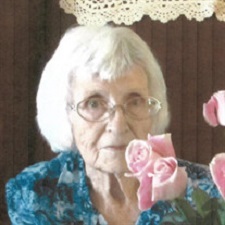 Lois Marie Cunningham, age 91, of Mena passed away Tuesday, November 13, 2018 in Mena, Arkansas. Lois was born on September 17, 1927 in Hugo, Oklahoma to the late Jim Woods and the late Mary Jane Young Woods. She was a loving and kind homemaker. Lois enjoyed many things in life such as bingo, sewing, quilting and working in her vegetable gardens. She was dedicated on going to church and her Bible Study group. Lois was voted at Peachtree as the Kindest Woman and also taught a sewing class at Peachtree. She loved being out in and viewing the beautiful nature. She was a loving mother, grandmother, great-grandmother, great-great grandmother, sister, and friend to all who knew her. Lois will be missed by all. She was preceded in death by her parents Jim and Mary Jane Woods, and husband Marion Eugene, “Pete”Cunningham, a daughter, Carolyn Richmond, and brother Bill Barnes and sister Mattie Morton. Funeral service will be Saturday, November 17, 2018 at 2:00 p.m. at First Christian Church with Reverend Gary Garrett officiating. 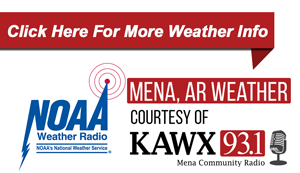 Interment will follow in the Pleasant Hill Cemetery in Hatfield, Arkansas under the direction of the Beasley Wood Funeral Home of Mena. Family and friends visitation Friday, November 16, 2018 at, 6:00-8:00 p.m. at Beasley Wood. Pallbearers will be Brandon Martin, David Donica, Devin Wheless, Nick Robertson, Hunter Martin, and Chris Head.